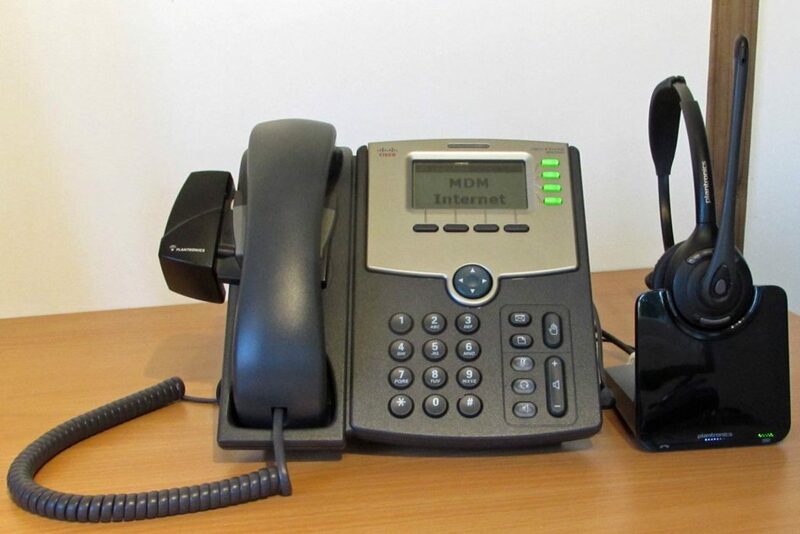 We’ve been using Cisco SPA Series IP Phones for a long time in our Office, mainly we now use the 504 and 525G models. You need a wireless headset if you are going to spend a significant amount of time on the phone – and we have settled on the Plantronics CS510 for our Cisco SPA Devices. All of the models are compatible with the Cisco SPA Series by using various accessories that Plantronics make available. The CS510 and CS520 are the same but the CS510 has only one ear piece and the CS520 covers both ears. If your office is noisy then the CS520 is probably a better choice. I’ve never tried the 530 or 540 as I spend a lot of time on the phone and just feel like over the head is more comfortable for long conversations. 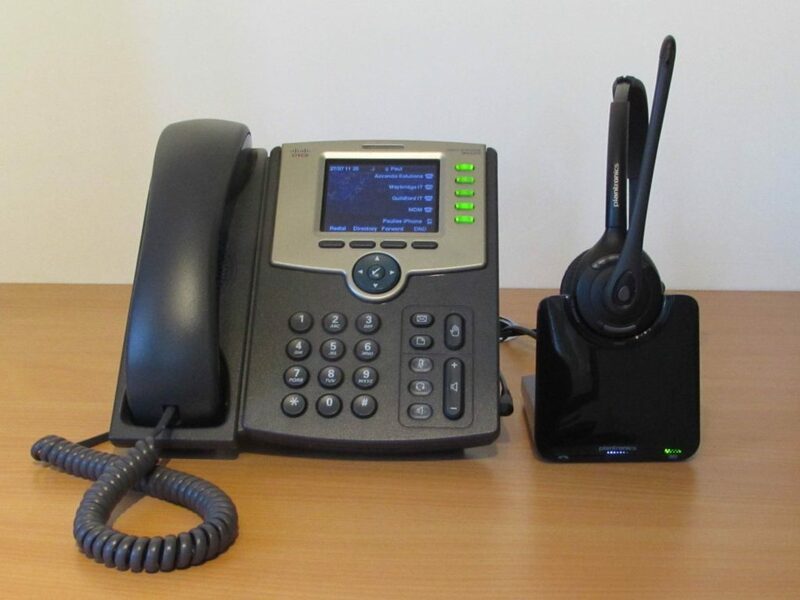 The Cisco SPA504G works perfectly well with the CS510, but it requires the use of a handset lifter – the Savi HL10. This is a mechanical device which actually lifts the handset off the telephone in order to answer calls and make the headset active. The Cisco SPA 525G with the Plantronics CS510 is an elegant solution as there is no need for a handset lifter because it has support for an Electronic Hook Switch (EHS). But you do require a special cable from Plantronics, which is called the [amazon_textlink asin=’B008D6RSEY’ text=’APC-45′ template=’ProductLink’ store=’tachytelicnet-21′ marketplace=’UK’ link_id=’4763307b-9189-11e8-9467-4b8dad5d2c72′] to connect the CS510 to the phone. I spend about 3-4 hours a day on the phone and have never run out of battery, probably because I store the headset on the docking station between calls, so it is always kept topped up. Wireless range is really good. I have not tested it to extremes, but I often walk at least 20 meters away without any issues. We have been using the CS510 for years and it has been reliable and comfortable. I never use the standard handset from the phone as I find it incredibly uncomfortable. Having the headset leaves both hands free for keyboard use and because it is wireless, there are no annoying cables distracting you.